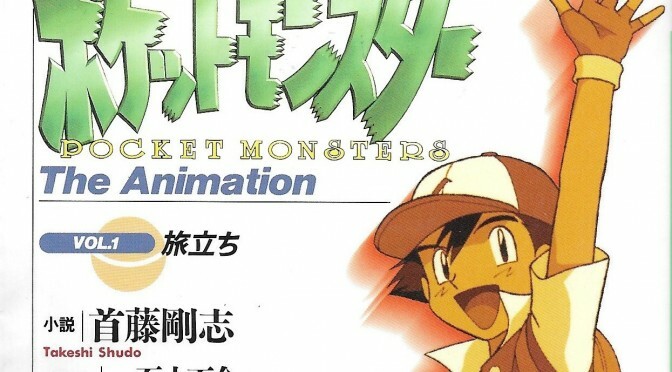 Pocket Monsters: the animation – the secrets of Pokémon anime! 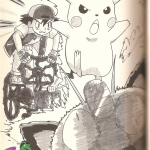 Takeshi Shudo, creator of the Pokémon anime, published in 1997 and in 1999 two books in which he revealed some of the greatest secrets of the Pokémon anime. These secrets hide many details about the characters of the animated series and also clarify several inconsistencies in the episodes. Note: The informations that Shudo reported in these books are not “another version of the anime“, but informations that, for various reasons, Shudo could not explain in the episodes. Unfortunately, being them “old books” and being available only in Japanese language, it is extremely difficult to find the full translations. However, after a thorough search on the internet, I managed to find some kind of comprehensive summary of the most important information. In the darkness, a small light was glowing. There was a little noise, like an explosion in the air. Then, a creature is born. Those creatures are born, one after the other. All these creatures were of different sizes and shapes. Some of these were like some we know. creature that ever existed in the world. Like humans, who after a long time of evolution, became different from any species of monkey. They appear as they are, in ways we can not recognize in our reference books. Then people called these creatures “Pocket Monsters”. Why are Pocket Monsters in our world? Trying to explain this mystery is as difficult as explaining the mystery of human evolution. – “Introduction to the Pokémon study. Pokémon study Professor (Celadon University). After the preface, there are some infos about Ash. The book also explains that, according to legend, God created the world in a week. The 7th day he “sketched” some extra animals: the Pokémon. They are then born on a day of “celebration” and are not intended nor to be dominated by humans, nor to dominate humans. In the 18th century, zoology became a professional scientific discipline but there were some mysterious creatures that you could not classify, as the dragons and sirens. Then, the French count Tajiri (surely inspired by Satoshi Tajiri, the creator of Pokémon ) has discovered and studied the pokémon to try to give an answer to everything. After the peface, it talks about the history of Ash, his childhood, his father and how Delia approached her motherhood despite the absence of her husband. > Ash’s father is a Pokémon Trainer currently traveling in a faraway land. Delia knew him at the Pallet House, when she was 18. The two fell in love and their relationship became rapidly stronger, so that within the same year they got married. 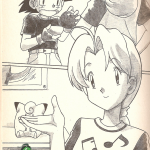 Hovever, soon after Ash’s birth, he left Pallet Town and never returned. Delia was only 19 years old. In the following years after her husband’s disappearance, several men asked her hand in marriage, but she refused them all, because she never wanted to divorce from Ash’s father. > Ash’s maternal grandmother has died shortly after his birth, because of an illness. His maternal grandfather abandoned the family to become a Pokémon trainer and never returned. > Around three years of age Ash starts to become very ribellious. In fact, as a child he loved playing around and cause mischief. > Ash had problems with bullying at maternal and primary school. Hovever, when he got annoyed by someone, he’d get the teachers or the bully’s father to tell them off. If the bully’s father wouldn’t do so, he’d make sure at least the teacher did. In the Pokemon World, compulsory education ends at age 10. After their 10th birthday, children are considered as adults. The following April (after turning 10), Pokémon trainers can choose to continue with secondary school or focus on something else, such as Pokémon training, starting a career or even getting married! Most of the males in the Pokémon World try to be a Pokemon trainer, and of course, most of them utterly fail hard. Then they just become incompetent adults. This is why both Ash’s father and grandfather left for a trip and is also why most of the workers are female. 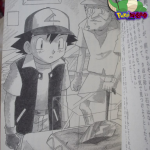 This is the book in which Takeshi Shudo revealed that Ash, on the day of his departure was exactly 10 years, 10 months and 10 days old. As mentioned in the previous paragraph, Pokémon trainers left on April after their tenth birthday, so here we see clearly the inconsistency in the first episode of the animated series in which it’s said that “Ash was leaving because he has just turned 10”. But at the same time, Gary and other two trainers left. Was it everyone’s birthday, perhaps? Obviously, the answer is “NO!”. The writers have made a mistake. But that’s not all. 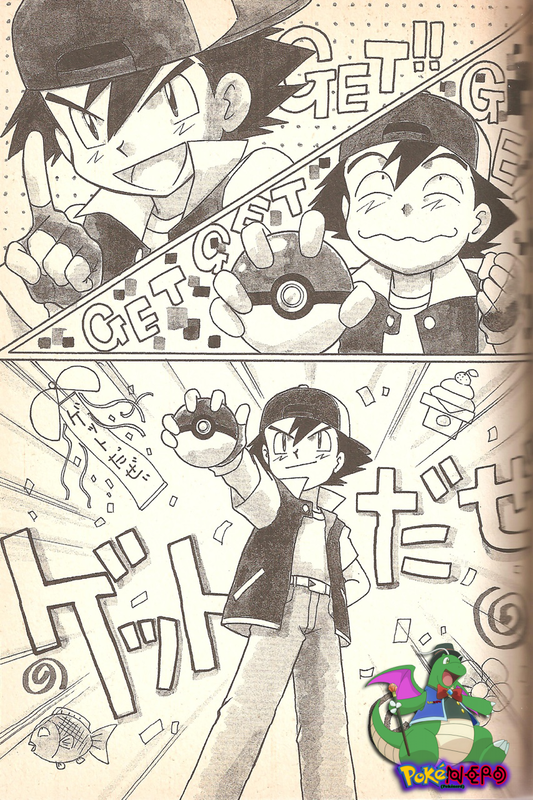 Since Ash’s Journey started on April 1st, going 10 years, 10 months and 10 days back, it is possible to determine the date of his birth: May 22nd. So, on April 1st, Ash was almost 11. 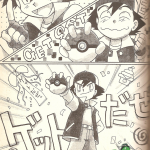 During the 9th episode of the animated series it was made ​​clear that two months have passed since Ash’s departure. Here’s the confirmation that he has been 10 years old only in the first 6-7 episodes of the animated series. Masara Village is a small rural town, there are not many free occupations. Because of that, generally, children who pass the age of 10 tend to become Pokémon trainers. Unfortunately, the trainers of Masara Village always end up in the last positions of the top 10 thousand Pokémon trainer (monthly published ranking). 100 years ago, Masara Village was called Masshiro Village. 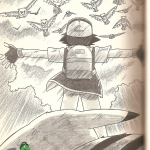 There lived an extraordinary Pokémon trainer, named Ookido Masara. He stood at position 921 in the TOP 10 thousand trainers, highest position ever achieved by a resident of the city. Ookido Masara was honored as a hero by the people, so they renamed the city “Masara Village”. The Japanese name of Professor Samuel Oak is Yukinari Ookido. 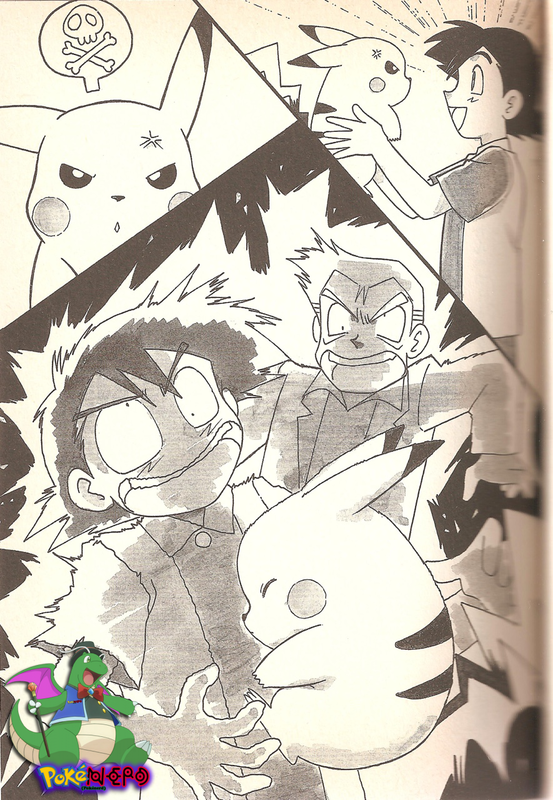 In fact, prof. Oak is Masara Ookido’s grandson. Samuel has two older brothers, the eldest of whom is the mayor of the city (first series), while the middle brother is the Head of the Post Office. Gary’s cheerleaders were hired right from the mayor, the boy’s great-uncle. About Gary, he and Ash have not attended the same elementary school. Being a member of the family Oak, Gary decided to attend an elementary school in the nearby town. Since he’s member of the Oak family, he didn’t want to attend the small primary school of Pallet Town. Every day he had a two hour journey to get to and from school. Samuel Oak published (at the age of 20) a theory about Pokémon titled: “Pokémon are different from other creatures of this world”. It was precisely this thesis that led him to success in the study of Pokémon. At the age of 25, he received an award for the results of his research and was promoted to the rank of Professor Emeritus of the Department of the City University Tamamushi (Japanese name of Celadon City). When he was 30, without publishing any academic paper, he returned to his hometown (Masara) and he opened a small laboratory for unknown reasons. There are rumors about a girl trainer that he supervised, who broke his heart. Initially, Ash didn’t know much prof. Oak, he had only seen him a few times, at night, in the mother’s inn (Ash must have been sleeping, he probably didn’t have chance to talk with the professor). Oak always orders precooked Chazuke, Furikake and Curry. He eats in silence while reading a book. This seemes very strange to Delia, because those were foods that could be bought at any grocer’s. 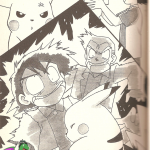 When Ash received Pikachu, Professor Oak instructed him to give a nickname to the Pokémon. 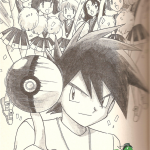 The boy, however, had not planned to begin his journey with Pikachu, so he thought of nicknames only for Bulbasaur, Charmander and Squirtle, respectively: Danesuke, Kagetarou and Zenibou. So, Ash improvised nicknames such as: Pikabou, Pikasuke, Pikatarou, Pikao, Pikata, Pikazaemon, Pikanosuke, Pikabee… but Pikachu liked none of them, so Ash decided not to give him a nickname. After that, Oak informed the boy that some Pokémon hate humans also because they choose names for them and treat them as pets. 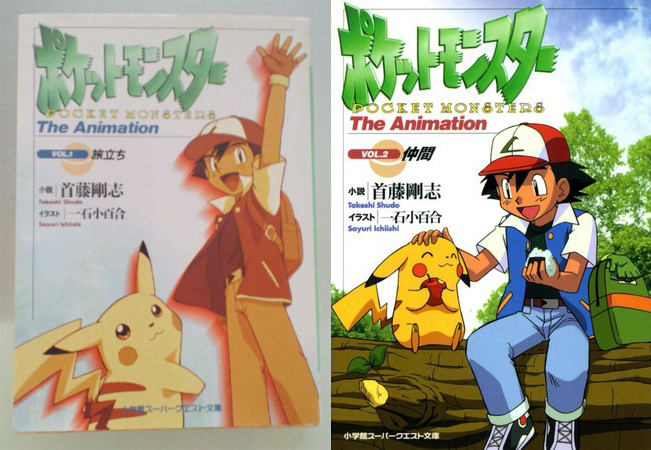 Shudo, in these books, also explained that the “Pokémon Anime” hides some very important messages. Brock falls in love with every girl he sees, because he unconsciously wants to give a new mother to his brothers. He wants to replace, in some way, the mother figure that hasn’t been present in the past. However, because of this, Brock will never get to the heart of any girl, until he changes his way of seeing “love”. As for Brock, Shudo also told the story of his family. 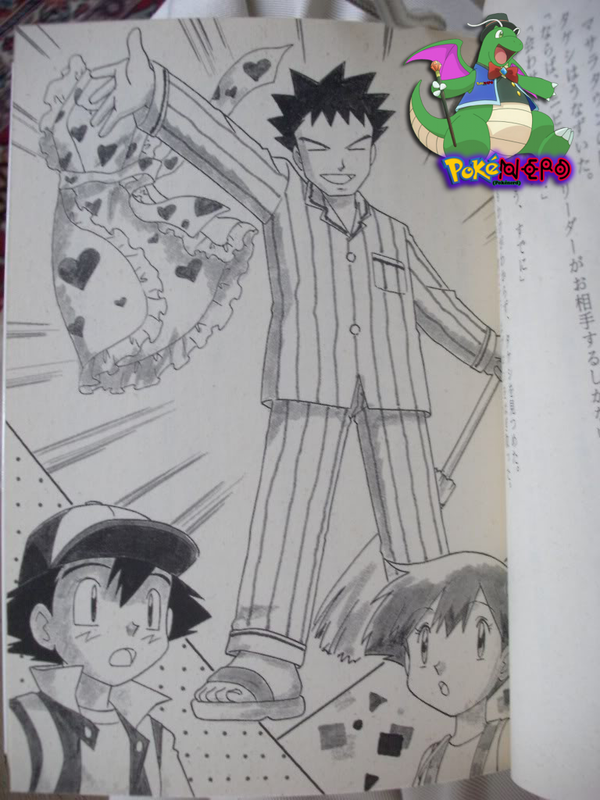 Brock’s mother, in fact, married and divorced several times because she had problems with the Pewter Gym. Brock’s father left home because he wanted to become a Pokémon trainer and the woman tried to manage herself the gym, task that, however, wasn’t easy at all. There were strict rules, such as the one for which after 3 consecutive defeats, the Gym Leader is exonerated from his role. For this, many times, challengers were corrupted by the gym leaders. Moreover, the costs were high and the government’s support was not enough. She remarried several times, but all her husbands ended up running away, unable to bear this responsibility. Brock’s brothers are actually the children of all these husbands. When Brock got his license of gym leader, the mother ran away from home leaving a letter: “I had too many successors (perhaps intended as sons). Since my duty was done, from now on I want to enjoy my life”. Unfortunately, the real Brock’s father didn’t came back and the boy was forced to give up his dream of going on a trip because of his family, although the brothers encouraged him to leave home because they felt guilty for him. Click here to read a piece of the chapter in which it is spoken of Brock. 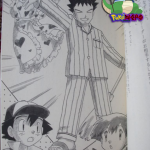 In this link there are written the first few pages of a diary by the same Brock once he started his journey. One of the many chapters of the book also speak about Misty. In particular, we find that her parents have left, leaving the gym in the hands of the daughters. As for Misty’s sisters, Shudo also clarifies why each one have a different color of hair: in fact they are wearing wigs, because of their shows. Their natural hair are blacks. 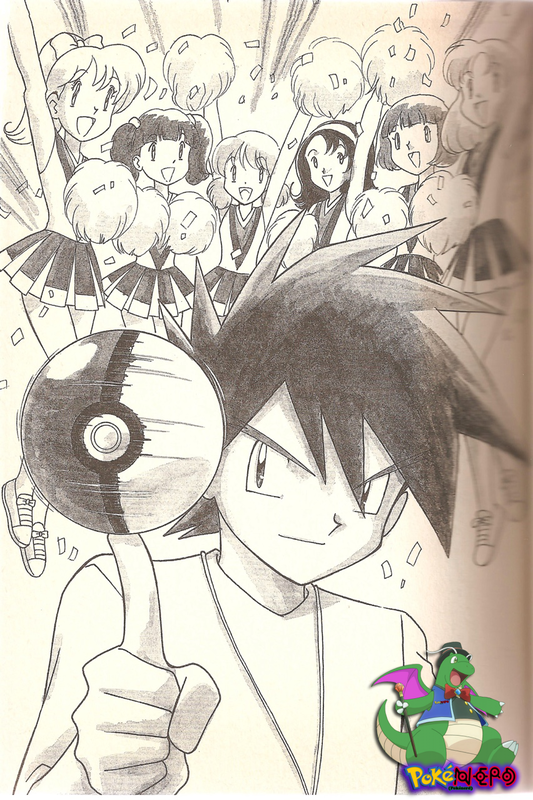 In this chapter, Shudo also confirmed that Misty is the same age as Ash. 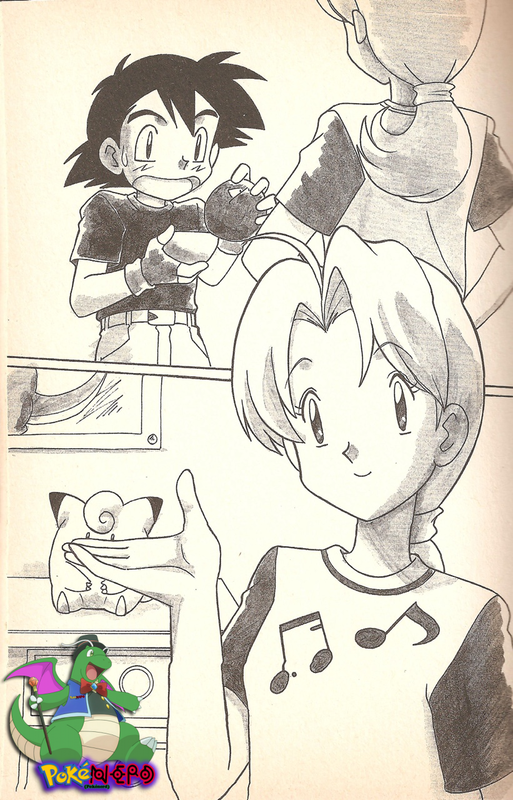 Jesse, James and Meowth were much appreciated by Shudo. Indeed, for the Advanced series, he finds himself having to choose whether to delete them or Misty from the protagonists of the anime. 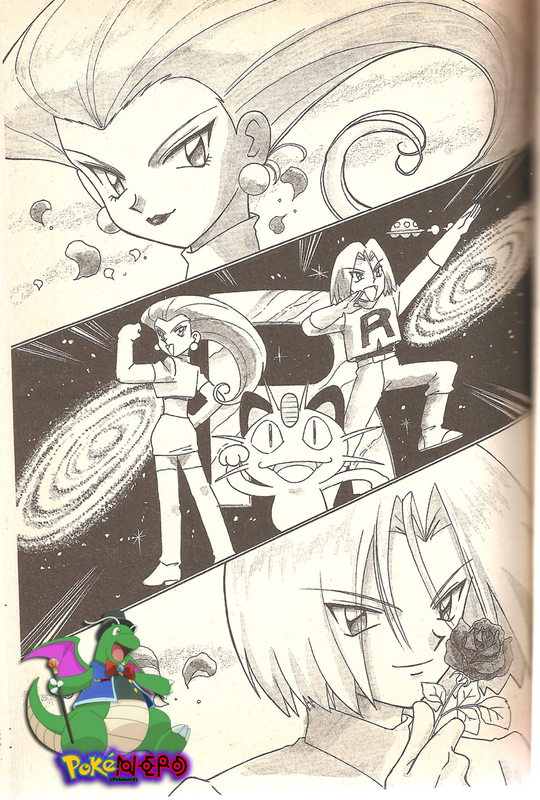 Shudo chose Misty, because he believed that the Rocket Trio was irreplaceable. 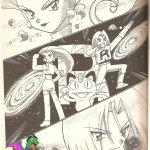 Of course Shudo dedicated fragments of the book to the Rocket Trio too , in fact in THIS LINK you can read the translation of an interesting paragraph about Jessie, in which she describes her first mission as a member of Team Rocket. – Jessie and James actually used the name of Miyamoto and Sasaki when staying in a hotel for recuperation (disguising themselves as a couple and Nyarth as their kid, putting bandage around their whole body) The hotel owner thinks that it’s weird that they are married but have different surnames. The book doesn’t confirm that they are their real surnames or not. Finally, here is a list of all the chapters of books. Chapter 1 旅立ちは、パジャマのままで。 – Setting Off In Pajamas. 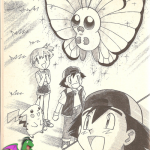 Chapter 6 バタフリー飛んだ！ – Butterfree Took Flight!